A yoga strap can be equally handy for a beginner and a seasoned yogi. 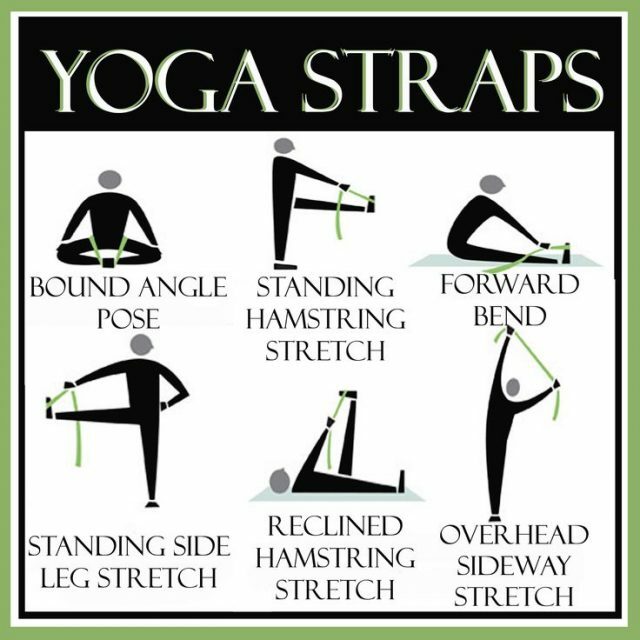 Whether you’re strapping to do any of the poses like Legs Up the Wall or Goddess, or simply want to reach a new level of flexibility, a yoga strap can be your best friend. Choosing just any strap, however, might not let you enjoy the full benefits – you need the best yoga strap to align your posture and ease into asanas (poses). A yoga strap can help you improve alignment and form, achieve better balance and invert, and stretch more while minimizing risks of injuries. However, with an overabundance of yoga straps on the market designed for different people and different purposes, choosing one that perfectly fits the bill can be a tough row to hoe. Fortunately, keeping these smart tips in mind can help you narrow down your search to some of the best candidates. A good yoga strap will last a lifetime. Straps made of 100% cotton are not only very soft but also virtually indestructible and can last for several years to come. Nylon straps are also very popular. Remember that you can find straps for under $5, but the cheapest strap is rarely the best investment for longevity. Cheaper straps are often poorly made and aren’t durable. If you are not sure about the quality of a strap, sticking to any of the popular brands can be a safe bet. Made from cotton or hemp, yoga straps come in multiple lengths, but the three most common ones are 6’, 8’, and 10’. Normally, a 6’ strap will suffice all your yoga needs and can be a cost-effective option. If you’re very tall, however, or want to get creative with your straps and need more length, you might want to consider a 10’ strap. The 8’ is right in the middle and offers the best of both worlds. But again, if you are not very tall and do the basic yogic exercise, a 6’ will get the job done. What type of cinch you choose is one of those small things that can affect the overall experience. Choose plastic, metal, or quick release cinch depending on your preferences and how often you’ll use the strap. The best yoga strap cinch depends on your style and needs. For instance, if you want a cinch that offers more security, consider plastic cinches which are tight and narrow. However, if you want more mobility and a cinch that can easily be adjusted, consider the traditional, D-ring metallic cinch which is easier to glide. While yoga straps are usually pretty affordable, some high-end straps can cost you upwards of $150. It’s a good idea to do some research on the type of cinches available before shelling out your hard-earned cash if you’re considering an expensive piece. Choosing the right yoga strap can turbocharge your workout. You will be able to stretch more, improve posture, get extra support, and do a variety of poses, reducing chances of injury at the same time. Moreover, they can also be used to carry a yoga mat. All in all, a yoga strap is a one-time investment that will go a long way.